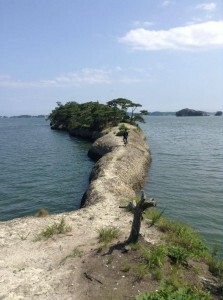 Drove from Shiogama to Matsushima in the 45 Route, there is a spot which named “Umanose” (means horseback) near the Rikuzen Hamada Station. 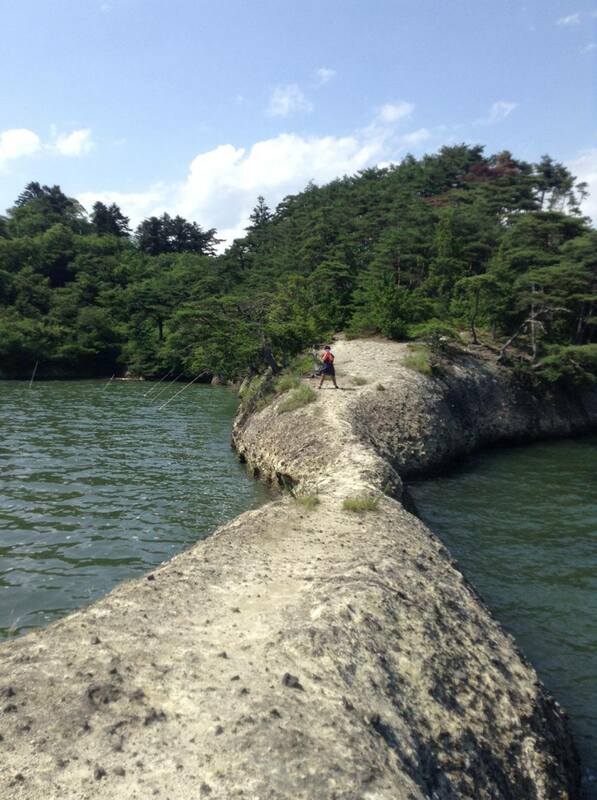 This place is formed by waves’ carving and called the natural pier. It is elongated, and has a unique rounded form, so that it is also called “Umanose” (means horseback) . For the pine living in the surface of stone, it looks like the horse hoof. 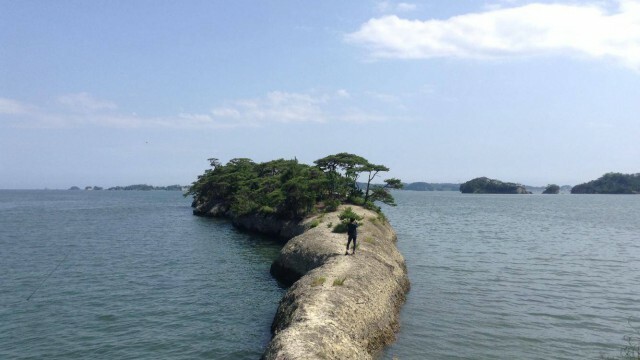 Walking to the very end of it and enjoy the superb view of Matsushima and Shiogama’s and islands. Access: About 34 minutes from Sendai Station to Hamada Rikuzen Station of Senseki Line, and then about 25-minute walk from Hamada Rikuzen Station.